Who would have thought that in 2015, we would all be talking about links, circles, friends, followers, likes and shares? This is what today’s world is all about, however, as fewer and fewer people venture outdoors, conducting all their communication through the internet instead. We shop online, pay our bills online, build friendships online and more. Did you know in 2015, 76 percent of social media threats required end users to propagate them? Fake offerings were ranked second with 17 percent of attacks being attributed to them. Unfortunately, in every world, whether it is digital or real, there are con artists and scammers, and this is true for the internet as well. 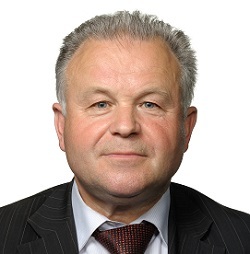 Cyber criminals are looking for ways to take advantage of the fact that we are increasingly comfortable on social media and they are becoming very good at this. In fact, some suggest that cyber criminals are psychological experts who understand what makes human beings tick and what motivates them. They use this knowledge to get their hands on your personal information, flooding your machines with malware, stealing your identity and cleaning out your bank account. There are now so many social media scams that it is difficult to keep up with them. However, they do follow a certain pattern, with criminals essentially using the same scams only in different formats or wording. 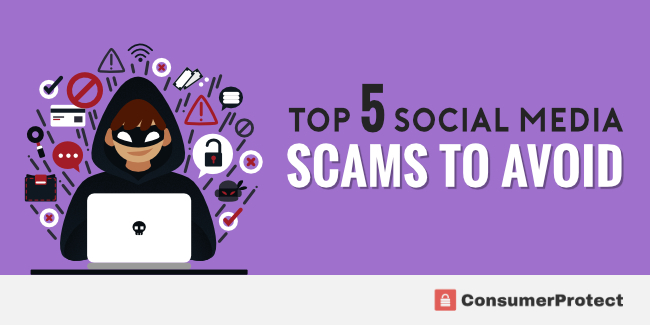 Below are the top 6 social media scams that you must avoid. This type of scam is a type of ‘clickjacking’ scam. This means it shows you something that will get you to click on a link. This is achieved by offering some sort of incentive that the scammers know you would enjoy if it was real. It is a known fact that people are curious by nature, and they want to find out whether someone from their past is still looking for them, for instance. As such, this particular scam has been one of the most popular ones on Facebook and it seems to reappear quite regularly. Once you click on the link, you will usually be asked to enter a number of personal details. If you are really unlucky, it will also download a piece of malware onto your machine and forward it to all your friends on Facebook. The details that have been taken from you will be used in whatever way a scammer sees fit. Most of the time, they will be sold to telemarketers, robocallers and potential identity thieves. The simple fact is that Facebook does not keep records of who views what profile, and no piece of software outside of Facebook would be able to do so either. The Facebook dislike button has also be a hugely popular scam. This is so popular, in fact, that Facebook has recently announced that they will definitely be making changes to their postings, so that people can have a ‘dislike’ button, but also a number of other emotive responses other than the simple ‘like’ that is currently available. Essentially, the scam looks like a genuine app that claims the ‘dislike’ button will be added to your profile. In the early days of Facebook, some scammers were actually able to add it, although this is now no longer possible. Either way, the goal was never to actually allow you to have a dislike option, but rather to get you to click on a link that would take you to some sort of malware or other form designed to steal your personal details. This one is one of the hardest ones to break through. They look incredibly genuine and offer things that would commonly be offered by certain manufacturers. This includes things like gift cards for the Cheesecake Factory, Starbucks or Victoria’s Secret. Some go slightly further and offer things such as a free iPhone or Xbox One. In all these scams, the advertisement looks completely legit. Usually, the post will ask you to click on something and to then share the post, thereby getting you to encourage others to do the same. In reality, however, you will have divulged a wealth of personal information and you will have signed up for various services you don’t need, want or are even aware of. The problem is that some of the free gift card offers are genuine. This is why you should always think before you click. Contact the company who the gift card is for and simply ask them whether the promotion really does exist. If it does, then you can bag yourself a nice goody. Nine out of ten times, however, you will find out that it is a scam. If the Facebook posts are to be believed, Justin Bieber has been the victim of an acid attack, Johnny Depp has died of unknown circumstances, J-Lo is getting a divorce and Charlie Chaplin has risen from the dead. Usually, these posts come with photographs that, at first glance, seem to confirm whatever is being claimed. These scams play on our human curiosity and con artists know that we will be so tempted by the news report that we end up clicking on it. Once that happens, a piece of malware will start downloading onto your computer. Avoiding these scams is reasonably easy. If you ever see a massive piece of celebrity news, simply type it in Google before clicking on it. If Justin Bieber did get attacked or Charlie Chaplin did rise from the dead, it would be on every major news channel. This is a popular attempt at phishing. Essentially, you will receive an email that looks as if it has been sent by the social media platform you are using. It will tell you that your account has been disabled, often for a seemingly legitimate reason. In order to reinstate your account, they will ask you to click on a link to show your login credentials. While many people know that there is a big chance that this email is fake, they also worry that someone else may have accessed their account, which makes it very tempting to click on the link. If you are in any doubt, do not click on the link but simply open the social media platform in your browser. If your account is indeed disabled, you should be told about it on that particular website. Finally, the ‘confirm your email’ scam is very popular. Like the above, it is a phishing attempt that tries to get you to divulge private information about yourself. Because we collectively sign up for so many different things on a daily basis, it is again very easy to click on something, believing it came as a result of something you did yourself. Again, however, you must stop yourself from doing that.